Fin-S Charters, LLC | Morehead City NC Fishing Charters with Capt. Daniel Raeburn 252-241-3590: Fish are Here!!! Don't have a lot of pictures for you but the fish have shown up. 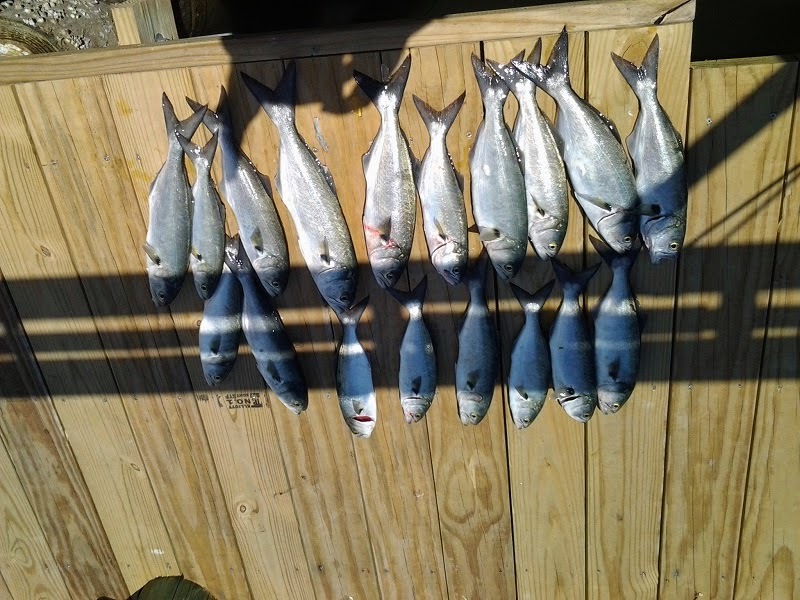 Cobia are being caught along the beaches, bluefish and a few spanish mackerel are being caught, flounder on the reefs, and grouper,amber jacks, and sea bass on the wrecks. The cobia showed up a couple days ago, I fished Saturday for them but struck out. If you want a good chance for catching cobia remember you must be patience and put in some time. I recommend at least a 3/4 day, fullday is better. 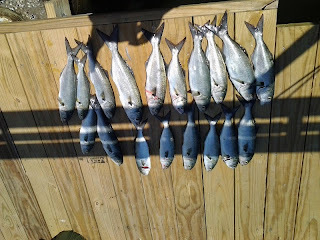 I do have a picture of some bluefish from a trip on a client's boat who I'm helping learn the basics of trolling. This was the first trip out on his new boat, not a bad way to break her in.